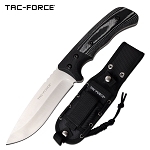 Buy wholesale price tactical knives here. Cheap tactical knife for sale. This fixed blade tactical knife is 10 inch overall length. 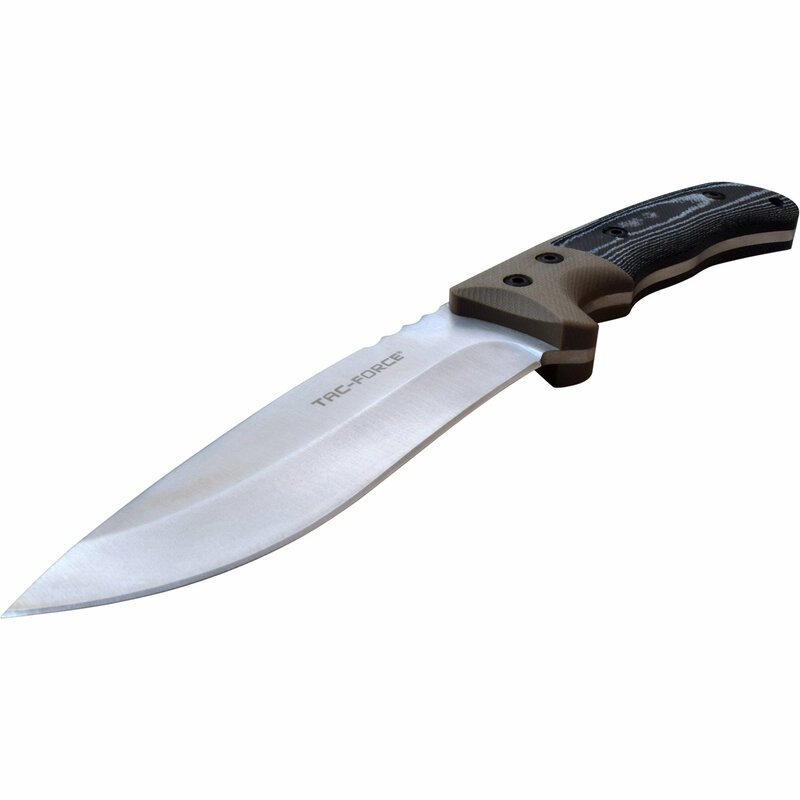 The drop point blade is satin color with 4.9 inch length. The blade material is 3cr13 steel. 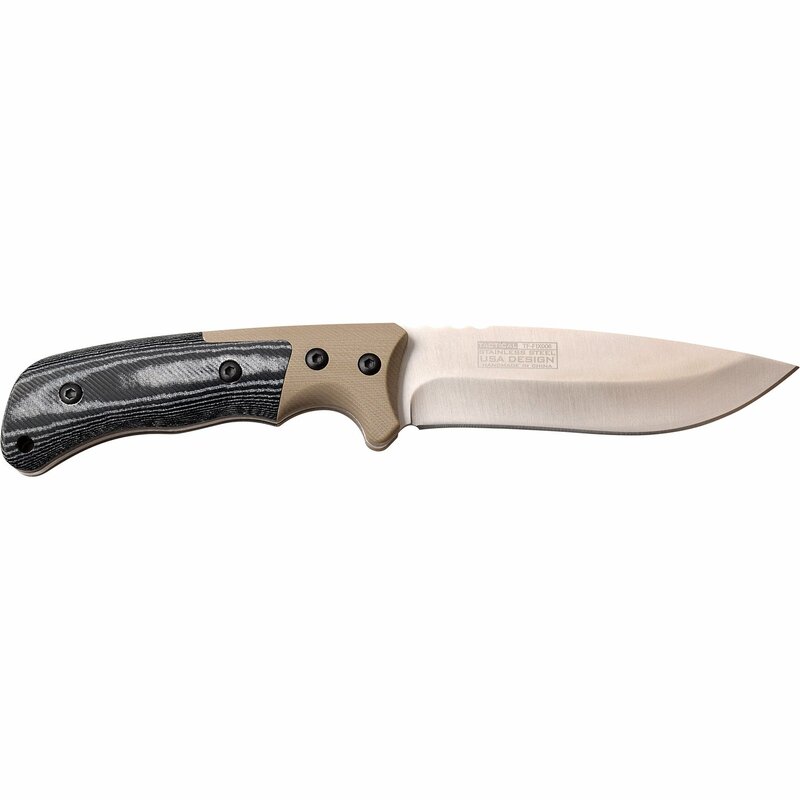 Impressive G10 and micarta handle is 5 inches long for a comfortable knife grip. 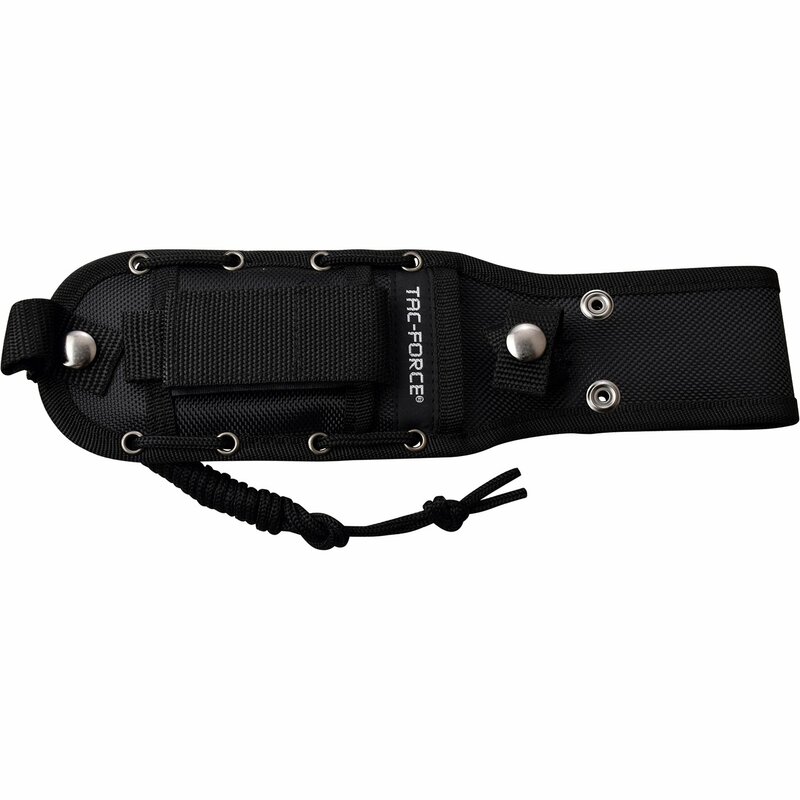 This knife comes with a tactical molle nylon sheath.